Energy secretary Rick Perry will testify before a House Energy and Commerce subcommittee next Thursday, lawmakers announced yesterday. The hearing's focus is supposed to be broad, but expect lots of questions about Perry's instantly controversial proposal to shake up power market rules by ensuring coal and nuclear plants are compensated for their "reliability and resilience" attributes. Why the stakes are high: Perry is catching lots of flak from critics who call the plan a naked attempt to prop up power sources that are increasingly on the losing end of competition from natural gas and renewables. 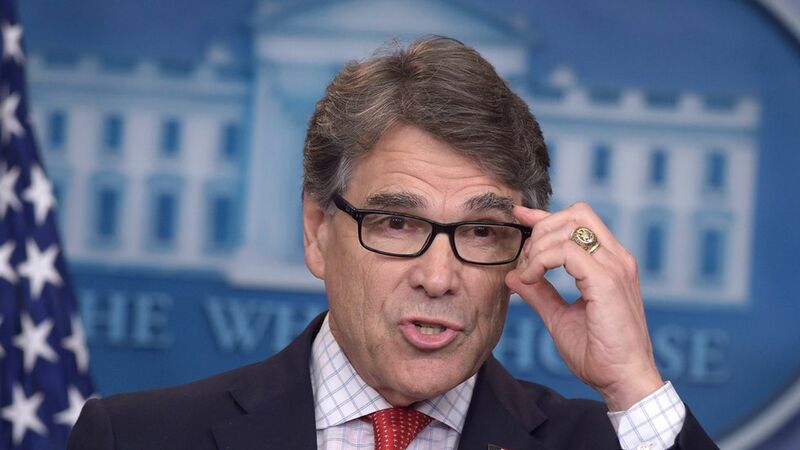 If Perry isn't able to mount a convincing and detailed defense of why he asked the Federal Energy Regulatory Commission to craft the rules, it will bolster opponents who say the move is more about rewarding favored power sources than ensuring grid reliability and resilience in the event of disasters. What else to look for: Whether influential House GOP lawmakers who oversee energy policy — including Energy and Commerce chairman Greg Walden and energy subcommittee head Fred Upton — start tipping their hand about what they think of the underlying proposal. Interest is running high: There's mounting concern about the fast pace of the rulemaking process, specifically FERC's request for initial comments from outside parties by Oct. 23. One new sign: yesterday a suite of groups representing independent oil-and-gas producers asked FERC for at least a 90 day initial comment period. Their motion, which adds to requests from other gas and renewables trade groups, says FERC should quickly signal that it's slowing down the process in order to "reassure markets...that adequate time and resources" will be devoted to the topic.